ISO certification can be used to provide potential customers with independent validation of an organization’s conformity. Security experts recognize that compliance is not synonymous with security. However, the increased criticality of technology in forming business partnerships combined with increased customer focus on data breaches mean organizations must find ways to assuage customer fears. Thus, compliance offers new clients ways to use an organization’s controls as a measure for future customer satisfaction. In 1946, twenty-five countries sent delegates to the Institute of Civil Engineers in London who decided to establish a new organization called the International Standards Organization that would create and unify industrial standards. What are the different types of ISO certification? ISO standards impact a variety of industries. While they do not incorporate the penalties established in regulatory requirements, meeting them offers IT companies opportunities to align themselves to many regulations. 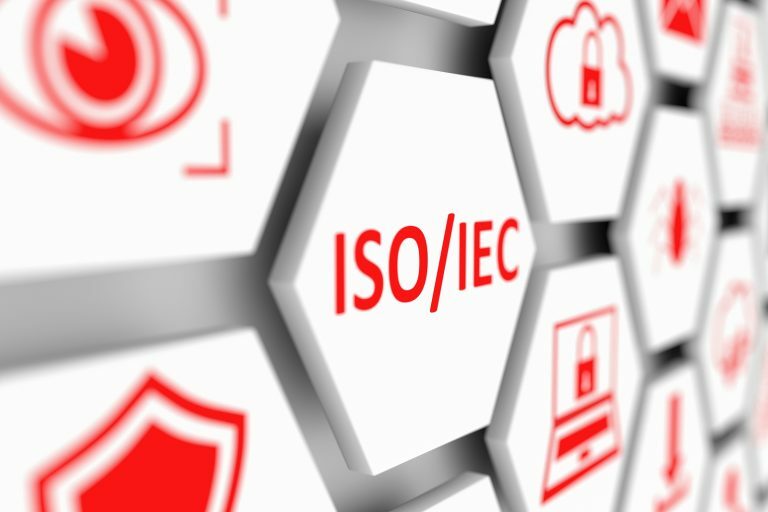 For those looking to create IT programs, three primary ISO standards help organize compliance. In IT, ISO 27001, ISO 31000, and ISO 9001. What is ISO 27001 standard? The ISO 27001 standard established industry requirements for an information security management system (ISMS). Although the 27000 family incorporates more than a dozen different standards, organizations attempting ISO certification start creating management systems. ISO 27001 primarily focuses on preserving the confidentiality, integrity, and availability of information as part of the risk management process. As such, it intends to offer confidence to upstream and downstream customers. Certification requires two stages of review. In the first stage, auditors collect documentation and determine whether an organization’s ISMS is ready for the next stage of review. To pass the initial audit stage, however, organizations must compile documentation including their ISMS scope, information security policy, risk assessment and risk treatment methodology, statement of applicability, risk treatment plan, risk assessment report, detailed definitions of information security roles and responsibilities, inventory of assets, acceptable use policy, access control policy, operating procedures, secure system engineering principles, supplier security policy, incident management procedure, business continuity procedure, and compliance requirements. What is ISO 31000 standard? ISO 31000 establishes guidelines for engaging in enterprise risk management (ERM). The risk management process approach requires that executive management and the Board of Directors review both the potential and likelihood of threats so that they can establish controls to mitigate the risks. Auditors assessing ERM adequacy for certification require documentation that management engaged in either a process elements approach, principles of risk management approach, or maturity model approach to risk. The Institute of Internal Auditors (IIA) notes that while its assessment guidance aligns to 31000, other frameworks may also match the ISO requirements. What is ISO 9001 standard? ISO 9001 supports those trying to be ISO 31000 and 27001 certified by specifying the requirements for a quality management system (QMS). Quality management systems document the processes, procedures, and responsibilities over quality and control objectives. While ISO 9001 applies to any industry requiring quality controls for continual improvement, it offers a unique perspective for dev ops and compliance. These management standards focus on a workflow incorporating design, build, deploy, control, measure, review, and improve. Anyone in dev ops will recognize this regarding agile. ISO 9001 audits incorporate three types of review: product, process, and system. The lengthy list of documentation required includes both mandatory and non-mandatory information. The list of mandatory documents includes document control procedures, records procedures, internal audit procedures, control of non-conformance procedures, corrective action procedures, and preventative action procedures. While that does not feel overwhelming at first, each of those categories lists additional documents needed to prove the process works in action. What is the need for ISO certification? ISO conformity differs from certification. Conformity means that the organization has decided to indicate its compliance to an ISO standard. Any company can choose to incorporate ISO compliance as part of its business processes. Examples of ISO conformity include creating a QMS or conducting internal audits. Moreover, as with many audit procedures, ISO certification enables an organization to use the third party assessor’s independent opinion as proof of compliance. This independence removes the subjectivity often assumed in self-assessments and self-answered questionnaires. ISO creates standards but does not engage in certifications or issues certificates. Their Committee on Conformity Assessment (CASCO) establishes standards related to the certification process thus used by certification bodies. In other words, CASCO determines the standards by which third-party assessors must abide to determine that a company meets ISO certification standards. To be ISO certified, independent third parties must review the organization’s policies, processes, and documentation. ISO refers to these third parties as “certification bodies.” When choosing one, a company should review whether the certification body applies the CASCO standard relevant and determine whether the body is accredited. Organizations do not need to assume non-accredited bodies lack capability. However, accreditation implies independent competency confirmation. To put it simply, accredited bodies have undergone independent reviews to prove that they meet CASCO standards so that they can establish the organizations they review meet ISO standards. Once ZenGRC experts onboard an organization, that company has access to content that helps map controls across multiple standards. When managing your compliance with shared drives or spreadsheets, seeing the overlaps and gaps in corporate compliance can leave managers cross-eyed. ZenGRC’s SaaS compliance platform allows you to map your controls and then perform a gap analysis so that you can view the remaining work and manage your timeline better. Finally, our platform provides a single-source-of-truth giving you one-click access to the documents the audit checklist requires for a successful audit. For more information on how ZenGRC can help ease the ISO certification burden, contact us today to schedule a demo.